On November 27 in Hanoi, Deputy Prime Minister Vuong Dinh Hue held talks with Slovakian counterpart Peter Pellegrini, who was on an official visit to Vietnam from November 25 to 28. During the talks, Deputy PM Hue said both countries vowed to continue to improve the effectiveness of the cooperation mechanism under the two countries’ Joint Commission on Economic Cooperation, while strengthening trade promotion and investment, in addition to encouraging and creating favorable conditions for businesses from both sides to connect and survey each other’s market. Welcoming his guest, Deputy PM Hue expressed his belief that the visit would significantly contribute to bringing the traditional friendship and multifaceted cooperation of 67 years between Vietnam and Slovakia to new heights, meeting the interests and expectations of the two countries peoples. The host also expressed his delight at witnessing the tremendous changes that Slovakia has made in its reform, socio-economic development and European integration. 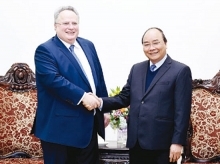 Deputy PM Hue affirmed that Vietnam always attaches great importance to strengthening and developing its relations with traditional friends, including Slovakia. 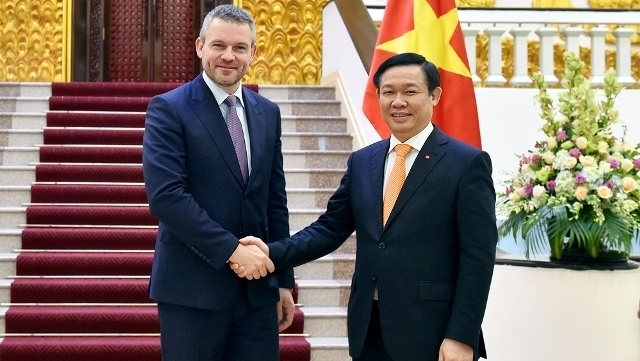 For his part, Slovakian Deputy PM Peter Pellegrini highly praised the achievements that Vietnam has made during the Doi Moi (reform) process, as well as its increasingly important international role. The visiting Deputy PM also stressed that Vietnam is a traditional friendship partner and expressed his wish to continue developing bilateral cooperation in many fields. 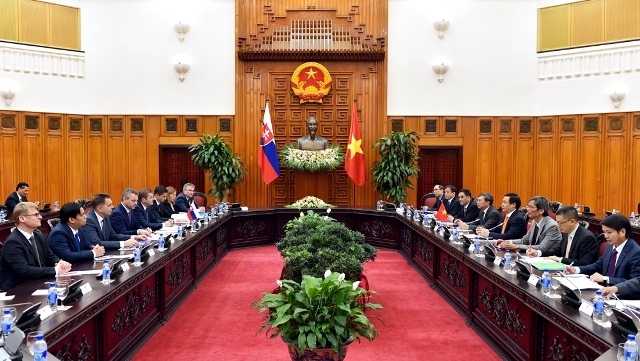 At the talks, the two sides expressed their satisfaction with regards to the positive developments in Vietnam-Slovakia relations in recent times, with steady development in their trade and economic cooperation, resulting in rapidly growing two-way trade, reaching US$671 million in the first nine months of 2017, an increase of 92% over the same period last year. In addition, both deputy PMs showed satisfaction with the close cooperation between the two countries in international forums. 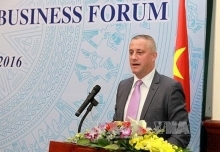 Deputy PM Peter Pellegrini affirmed that Slovakia supports the strengthening of relations between Vietnam and the EU, as well as the signing and ratification of the EU-Vietnam Free Trade Agreement (EVFTA). To bring their economic cooperation to new heights, the two leaders agreed to further improve the effectiveness of the Vietnam-Slovakia Economic Cooperation Joint Commission, to strengthen trade promotion, and encourage businesses to connect and explore one another’s markets, especially in areas that Slovakia has strength and Vietnam needs. The two sides agreed to promote cooperation on defence-security, culture, tourism, education-training, and science-technology. Deputy PM Hue also expressed his sincere thanks to the State and people of Slovakia for creating favourable conditions for the Vietnamese community to integrate into Slovakia, adding that overseas Vietnamese communities in the host country would continue to play an active role in promoting the friendship and cooperation between the two sides. During his visit, Slovak Deputy PM Peter Pellegrini also met with Vietnam’s President Tran Dai Quang and PM Nguyen Xuan Phuc; worked with Minister of Information and Communications Truong Minh Tuan; participated in the Vietnam-Slovakia Business Forum and visited Ho Chi Minh City.